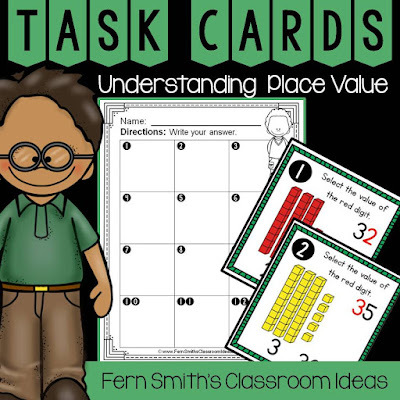 Lessons and Resources for Understanding Place Value - Fern Smith's Classroom Ideas! 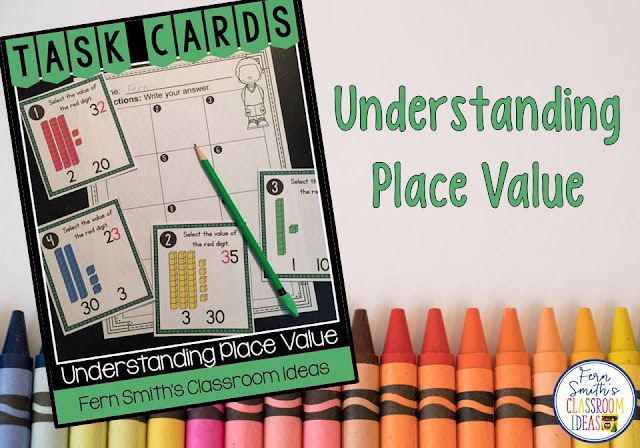 Why do we teach understanding place value? Our students need to understand what the two digits of a number mean in terms of ones and tens. They also need to be able to explain their thinking of how they came up with answers to questions about larger and smaller numbers. Give your students whiteboards or scrap paper. Write 36 and 63 on the board or overhead camera. Ask your students to explain to a partner the difference in these two numbers. Quote, "Since they have the same digits aren't they the same?" You can use Base Ten Blocks and when your students are ready, you can start using a quick draw method of DOTS and STICKS. 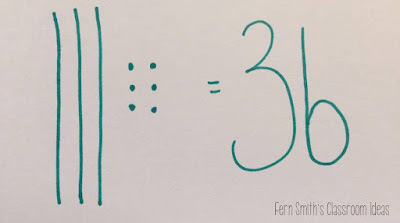 The students can draw what 36 and 63 might look like. After teaching third grade Math for years, I would stress to my students, during the state standardized tests, you can't pull out Base Ten Blocks, Counters, Snap Cubes, etc.... but with the allowable scrap paper, you can recreate these items quickly if you need help to work out a problem. I love DOTS and STICKS, it takes no time at all to draw. Come back together and discuss the difference. If you've followed my blog for awhile, you know that I love to use money to relate to real world math... 7 and 8 year olds just love money! Ask your class what would they rather have, $36 or $63? 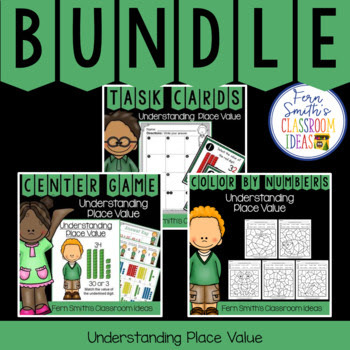 Follow up by discussing that place value MATTERS! Give your students time to work and discuss more examples. If time and to extend your lesson, allow them to create pairs for each other to work out. This lesson is a great review for a transition into greater than or less than later in the year. When your done with your lessons, I have some great resources for small group time, centers, seat work or as a spiral review when you move to chapter two. This is one of my favorite tips when you start using Color By Code and Color By Number Printables with your students. Have them color just a small part of the box and when done, a helper, parent volunteer, a paraprofessional or you can give it a quick once over to make sure it is correct and ready to be colored. For example, in this picture, the student colors just the tens or the ones according to the color by code key. Your students will adore these Color By Numbers worksheets while learning and reviewing important skills at the same time! You will love the no prep, print and go ease of these printables. As always, answer keys are included. 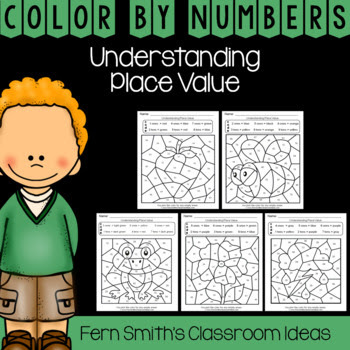 Color By Code Second Grade Go Math Lesson 1.3 Understanding Place Value. 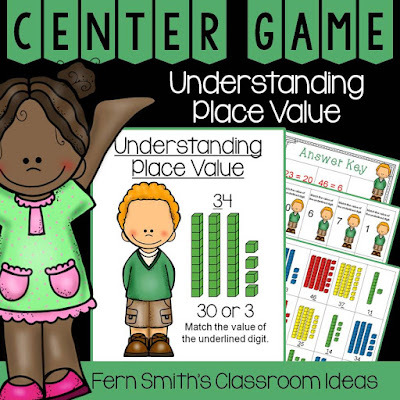 These highly engaging center games are quick and easy to prep and can be used for a variety of games, concentration, match game, go fish, gin rummy, scoot, read the room, self checking, even perfect for assessments. Once your students play with this deck, many of my other Quick and Easy to Prep centers can be used for different skills and seasons. Your center time will run smoothly and with very little prep from you! 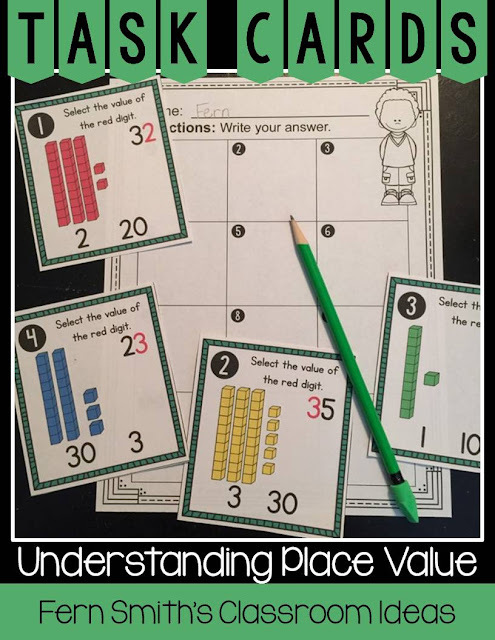 Second Grade Go Math Chapter One Lesson 1.3 Understanding Place Value - A Quick and Easy to Prep Math Center Game! Click here for all my 2nd Grade Go Math resources.